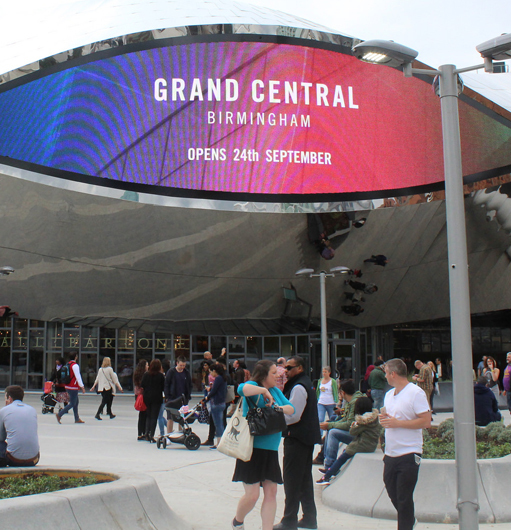 Birmingham Grand Central is a shopping centre & home to Birmingham New Street Station. Call 0121 770 2000 to book today, or alternatively use our taxi quote calculator to get an instant taxi quote and book via our taxi booking app. Home to dozens of shops and restaurants, including the iconic John Lewis store, Grand Central is certainly worth a visit. As one of the largest taxi fleets in Birmingham, TC Cars offers a responsive Grand Central taxi service. Call 0121 770 2000 to book your New Street taxi today.